Scott Walker's Democratic opponent in the upcoming Wisconsin Gubernatorial election used a handwritten self help note while being interviewed by Mother Jones. Mary Burke apparently left a note of encouragement for herself in view of the reporter while she was being questioned. Burke is not without vulnerabilities. She can still come off uneasy on the stump or overly rehearsed in her remarks. When we sat down to talk, a handwritten note on the table reminded her to "Emanate strength and warmth." That interview took place on a bright Saturday afternoon at her campaign headquarters in Madison. 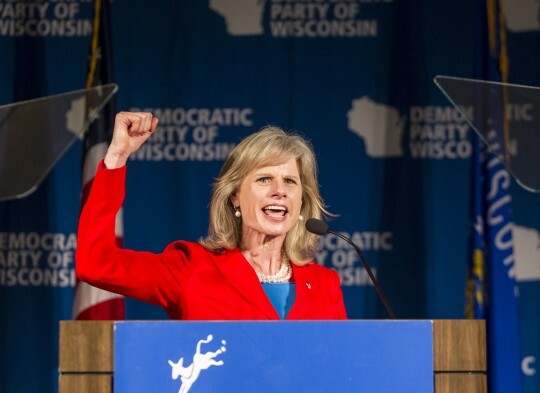 This entry was posted in Politics and tagged Governor, Mary Burke, Scott Walker, Wisconsin. Bookmark the permalink.